Alpaca, silk and yak sweater by Samuji. 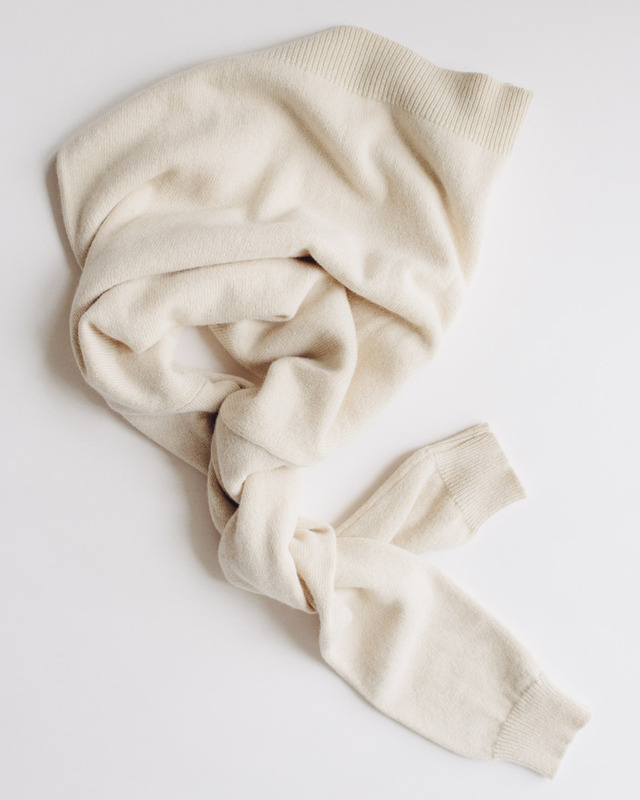 Cashmere sweater perfection by Khaite. Image courtesy of The Line. A good sweater is a good friend. With dull light and cold weather, it is the piece you would like to wear every day. It is the piece that transforms a smart yet stiff outfit into something elegantly effortless. The piece that comforts you and warms you up. Soft and flexible, it changes into something else, when needed. Tie a sweater around your waist and your outfit gains layers and structure. (It’s a sweater belt!) Wrap it around your neck and you have a scarf. As for materials, I find wool mixes with viscose, acrylic or polyester difficult to care, no matter how good the quality is said to be. Cashmere, lambswool, alpaca, yak, mohair – all easy, as long as you treat them like a good friend.